The spectrum of autistic syndromes is composed of very different syndromes, which often causes diagnostic problems and explains both our very partial understanding of the underlying mechanisms and the fact that there is currently no medication approved by the European and American authorities. This also explains why clueless mothers – and this is easily understandable – are ready to follow any proposal that dangle a benefit in front of them. As a result, charlatans promise a cure with loads of products not based on any serious study. One can understand helpless parents but mixing false science, scientism and healing sometimes takes crazy turns. 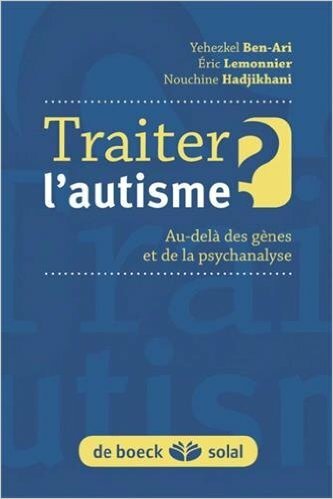 In the same kind of crazy ideas, a doctor (Dr Didier Grandgeorge) proposes treating autistic children with homeopathic levels of chloride (http://homeopathe.org/FR/autisme.html, in french). One can hardly believe it in front of so many misunderstandings of the functioning of the cells and biology, high school level! As a reminder, the levels of extracellular chloride, in other words outside the nerve cells, in the environment that surrounds them, or even outside any type of cells, is extremely stable and is part of the immutable parameters. In case of dehydration or other causes, the system regulates itself. The changes occur only in case of pathologies and result in the swelling of the cells (due to the entry of water) and cell death. Drinking chloride in homeopathic doses – or not actually – is immediately regulated by evacuation and has no consequences on brain function and ion balances! Our work concerns intracellular levels of chloride, which depend on nerve activity and affect cellular activity when they are high, while extracellular levels do not change. We have therefore shown that an agent that blocks the entry of chloride into the cells may have beneficial effects on the autistic brain. Nothing to do with the ingestion of chloride, which is completely useless. I see nothing wrong with going to Mecca, Lourdes or Jerusalem, climbing up to Lhasa, or doing yoga and headstand every day, eating organic food or doing god knows what. I also see no problem believing in homeopathy but please, avoid scientism with this mixture of purblind faith and pseudo-scientific tale from people who exploit without blame the distress of parents helpless against this situation sometimes hopeless. We must accept that we do not understand this disease enough and that the treatment will come when we’ll prove that what is proposed works: it is long, but there are no other issues. Grateful for the clear explanation.